Gamblesby is in the Parish of Addingham. Up to the end of the 18th century the name of the village was often written as “Gamelsby”. 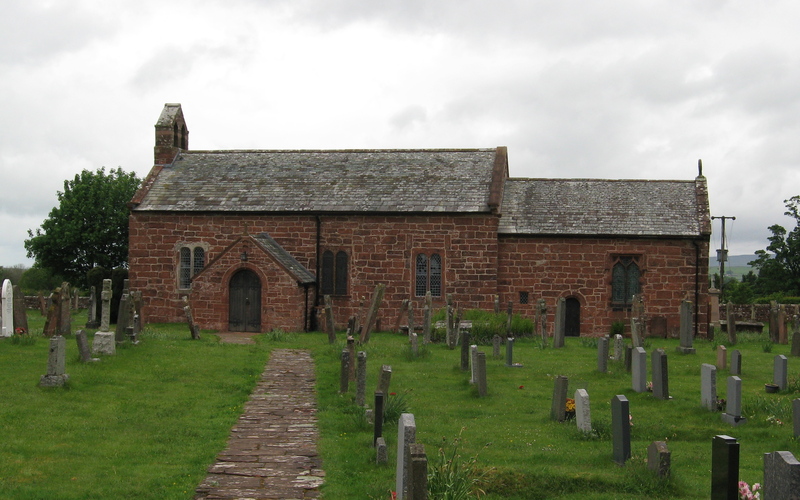 The Parish Church of St. Michael and All Angels is near Glassonby but there is no town or township named the same as the parish. Baptisms, marriages and burials for the Smiths in Gamblesby took place in the Parish Church near Glassonby. There was no Anglican church in Gamblesby then. However there were two other places of worship, one for Wesleyan Methodists and the other for Independents. In the 1820s there were four small townships in Addingham, the largest of which was Gamblesby. The village was roughly the same size as Melmerby but not as accessible by road. In 1821, Gamblesby had 45 houses, accommodating 51 families with 279 people in total. Addingham had two free schools at Maughamby and Hunsonby for the children in the parish. There also seems to have been a small school in Gamblesby. Aside from our ancestor Lancelot Smith, the Smiths had family links to many of the above names: Harrison, Huddart, Morton, Salkeld, Sawer and Westgarth. These links will be explored in later posts and pages. As well as the yeomen, Gamblesby also had two innkeepers, a schoolmaster, a blacksmith and a joiner (i.e., carpenter). Farming was similar to that practiced in the Melmerby area. In Cumberland generally, farming was fairly prosperous in the 1820s with net exports of corn being possible. The system of tile draining for wet fields was becoming increasingly common and the tiles were manufactured in the county. This entry was posted in Gamblesby, Huddart, Nicholson, Photographs, Salkeld, Smith, Westgarth and tagged Addingham, Gamblesby, Harrison, Huddart, Lancelot Smith, Morton, Salkeld, Sawer, Smith, Westgarth. Bookmark the permalink.